This is a letter of thanks and rather uplifting news from a friend of a friend, which deserves a wider readership. The writer teaches English in Sendai. Things here in Sendai have been rather surreal. But I am very blessed to have wonderful friends who are helping me a lot. Since my shack is even more worthy of that name, I am now staying at a friend's home. We share supplies like water, food and a kerosene heater. We sleep lined up in one room, eat by candlelight, and share stories. It is warm, friendly, and beautiful. Utterly amazingly, where I am there has been no looting, no pushing in lines. People leave their front door open, as it is safer when an earthquake strikes. People keep saying, "Oh, this is how it used to be in the old days when everyone helped one another." There are strange parallel universes happening. Houses are a mess in some places, yet then there’s a house with futons or laundry out drying in the sun. People lining up for water and food, and yet a few people out walking their dogs. And all happening at the same time. Other unexpected touches of beauty: the silence at night. No cars. No one out on the streets. And the heavens at night are scattered with stars. I usually can see about two, but now the whole sky is filled. The mountains at Sendai are solid and with the crisp air we can see them magnificently silhouetted against the sky. And the Japanese themselves are so wonderful. I come back to my shack to check on it each day, now to send this e-mail since the electricity is on, and I find food and water left in my entrance-way. I have no idea from whom, but it is there. Old men in green hats go from door to door, checking to see if everyone is OK. People talk to complete strangers, asking if they need help. I see no signs of fear. Resignation, yes, but fear or panic, no. They tell us we can expect aftershocks, and even other major quakes, for another month or more. And we are getting constant tremors, rolls, shaking, rumbling. I am blessed in that I live in a part of Sendai that is a bit elevated, a bit more solid than other parts. So, up to now, this area is better off than others. Last night, my friend's husband came in from the country, bringing food and water. Blessed again. Somehow at this time I realize from direct experience that there is indeed an enormous Cosmic evolutionary step that is occurring all over the world right at this moment. And as I experience the events happening now in Japan, I can feel my heart opening very wide. My brother asked me if I felt so small because of all that is happening. I don't. Rather, I feel as part of something happening that much larger than myself. This wave of birthing (worldwide) is hard, and yet magnificent. My Friday's Forgotten Book for today. 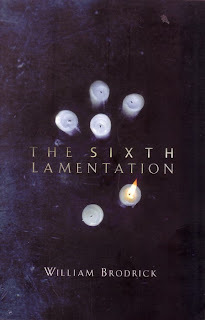 The Sixth Lamentation by William Brodrick is a 2003 mystery novel. It takes place in 1996 and features Father Anselm, a monk at Larkwood Priory, Suffolk; he used to be barrister. For some reason Schwermann, a fugitive war criminal, seeks sanctuary here. Nearby, Agnes is dying and before she breathes her last she gives her granddaughter Lucy some notebooks, diaries that reveals secrets and hopes from Agnes’s days working in the French Resistance. Lucy’s interested in Pascal Fougeres, who seems connected in some way with Schwermann. Threads that connect to the past, to tragic events in France in 1942. When there was betrayal and death. Apparently, the Church was involved in the cover-up of two escaping Nazi sympathisers who were responsible for the collapse of the resistance group called the Round Table – Agnes’s group. One of the hiding war criminals is discovered in Whitley Bay, my home town! There’s love and tragedy and forgiveness. This is an interesting, intriguing and convoluted story about history and the truths disguised as falsehoods – and the reverse. Brodrick’s characters come across as ordinary flawed people, some with mysterious pasts, others ignorant of their connections with bloody events. The writing style is eloquent, the words moving. Brodrick used to be an Augustinian friar then left the order to become a barrister. Regular readers will know that I admire Charlie Whipple’s writing. 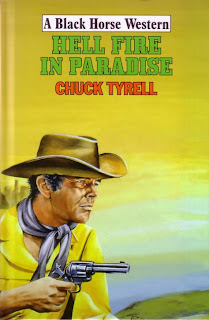 He writes as Chuck Tyrell. This book was published in 2010. While the cover painting is well executed, it doesn’t do the story or book any favours. And what a story! Laurel Baker’s husband is killed in a freak accident and her two sons are burned to death in the blaze that destroys their home by Paradise Creek. Grief and guilt and a deep emptiness engulf her. So when logging magnate Dunn comes by to buy her land, it’s an opportunity to sell up and move on. Despite the darkness that has entered her soul, she won’t give up. Her men are buried on this land and it’s going to stay hers. When fence constructor and widower Finn and his two boys pass through Paradise, Laurel invites them to stay to fence in her land. This new family lightens her darkness. Dunn is plain stubborn, however, and as his dreams seem to dissipate in the bottom of a whiskey bottle, he determines to be rid of Laurel Baker once and for all. Tyrell has deftly sewn a tragic and moral tale. Even the bad guys aren’t all bad. Dunn keeps taking reluctant steps to his doom, shoved by circumstances and his pride. As ever, the subsidiary characters seem to live – whether that’s good neighbour Seth, friendly Apache chief T’Pone, or town marshal Webber. As I’ve come to expect, the book brings alive the flavour of the food, the smell of the campfires and the sounds and sights of the West. And there are plenty of telling phrases employed; for example, ‘Time passed as if dragged by logging chains.’ Thoughtful and apt. This is a first for the writer, a female protagonist, and he captures the character well. She’s feminine yet tough, gentle yet firm. She’s a match for Dunn and his cronies. A match that she lights to blow them to hellfire in Paradise. Recommended, but then you’d guessed I was going to say that. Published in 1991 as The Mammoth Book of the Western, this is a reprint dated 1995 with a slightly revised title.Superb cover! Twenty-seven short stories. Great value. There are excellent tales by the late Elmer Kelton, Willa Catha, Max Brand, James Warner Bellah, Elmore Leonard, Jack Schaefer and Loren D Estleman – several of them actually Spur winners. This can be exemplified by the included stories of John G Neihardt’s ‘The Last Thunder Song’ (1907), Oliver La Farge’s ‘The Young Warrior’ (1938), Dorothy M Johnson’s ‘A Man called Horse’ (1949), and Steve Frazee’s excellent ‘Great Medicine’ (1953). 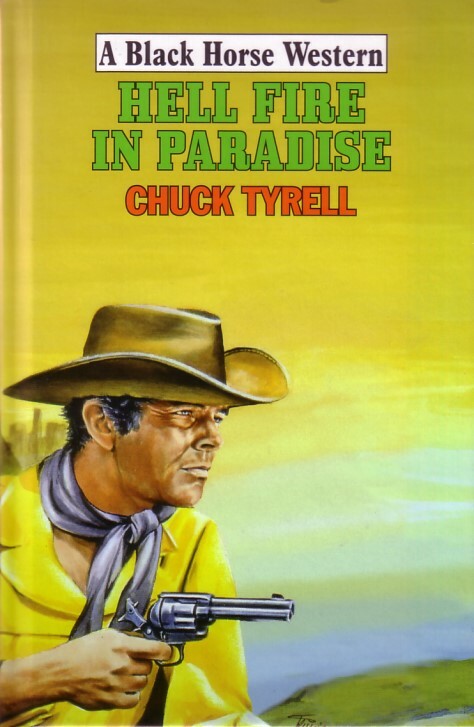 This was Chuck Tyrell’s debut novel, and he hit the ground running. In fact, his main character embarked on the run of death against fourteen Jicarilla Apache warriors. But I’m getting ahead of myself. 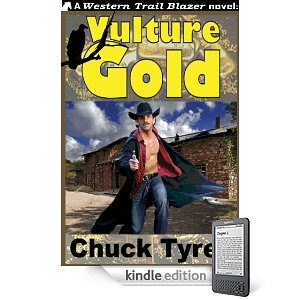 The story begins with a gold heist – desperadoes stealing from the Vulture Mine bullion room gold bars totalling $100,000. Vulture City’s town marshal is Cherokee half-breed Garet Havelock, nicknamed Iron Knee because he his kneecap was shot off by his nemesis, Barnabas Donovan some years back. He may have a limp, but he’s rigid in his determination to uphold the law, whether that’s to protect the same Donovan from a lynch mob or to save a group of whites by agreeing to undergo the grueling death run. Havelock’s life is complicated by the fact that the Governor’s daughter has been kidnapped. Beaten, shot, hurting, he vows to recapture the escaped Donovan, rescue the kidnapped girl, and recover the stolen gold. A tall order for any man. But Havelock isn’t any man. Vulture Gold’s scope is verging on the mythic. Havelock is a believable strong character, whose integrity can’t be bought or twisted. 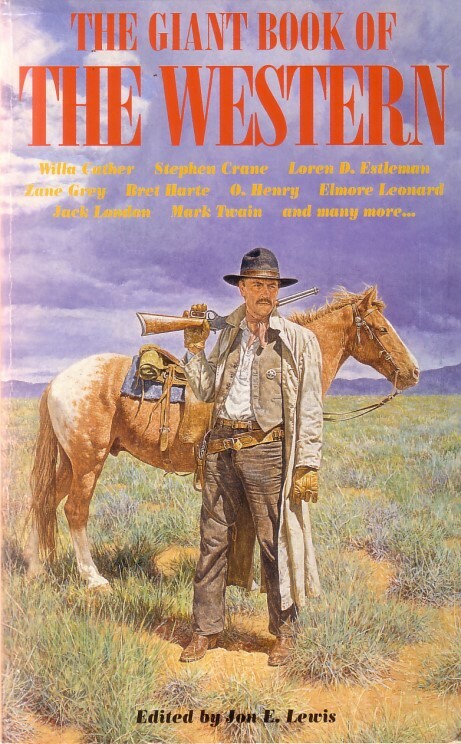 Throughout this gripping narrative, you believe you’re there, in the heat and dust, mixing with the incorrigible Pappy Holmes, exchanging jibes with the Yavapai Indian, Horn Stalker, and outwitting the enigmatic yet quixotically honourable Juanito O’Rourke. There are characters aplenty in these pages, all fleshed out, not least Havelock’s faithful bucksin horse, Buck and the Apache chief, Puma. And there’s a girl, the half-sister of Donavan, just to create more confusion and send Havelock’s troubled heart beating that little bit quicker. If you want a fast-paced, literate, authentic page-turning adventure, look no further. It also happens to be a western.